Hello from the other side of Easter (and Passover) weekend! I hope it was fantastic for all of you. I, personally, just about died of happiness when it actually reached 75 DEGREES yesterday here in the windy city; what an absolutely beautiful day to spend with friends, and with food, of course. This year being my first in Chicago, some of my newest acquaintences invited me over for an early Easter dinner, complete with fresh ham straight from a farm in Ohio and an incredible array of side dishes, everything from spinach and cheese quiche to potatoes au gratin to kale and farro salad. We were all stuffed to the brim, but of course everyone saved just a bit of room for dessert! My contribution to the feast was (you guessed it!) 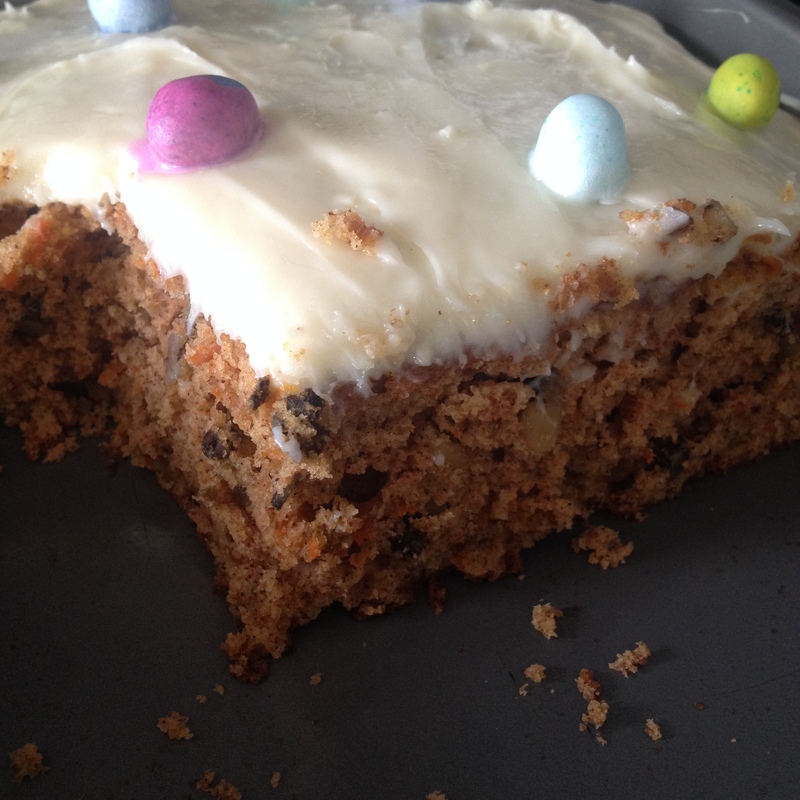 a classic Easter treat: carrot cake! 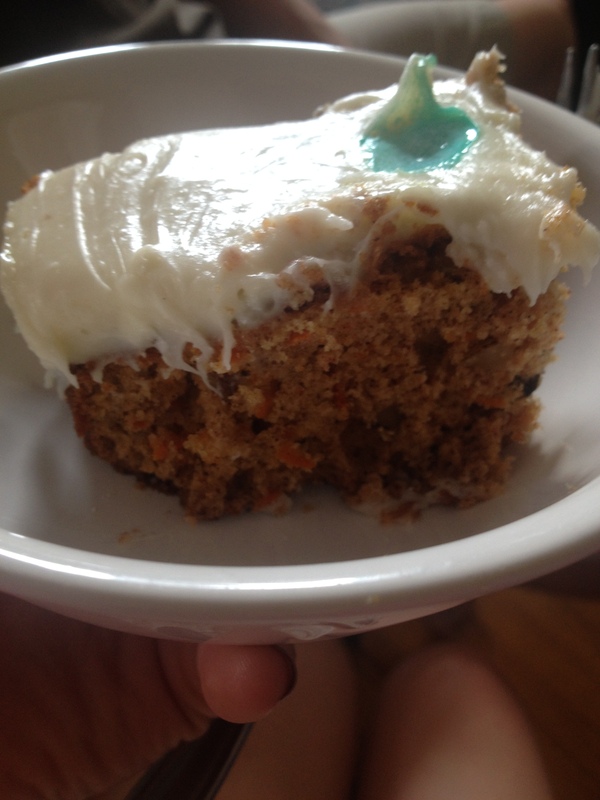 This awesome recipe is made a bit on the lighter side than the traditional carrot cake, using applesauce to replace some of the oil as well as egg whites. Yet it still turned out wonderfully moist and delicious! And while definitely not low-calorie, the cream cheese frosting is a mandatory addition, in my opinion. Sometimes you just have to indulge for a special occasion 😉 Enjoy this elegant confection at your own Spring Fling event, or any old time of the year, for that matter! Heat oven to 350°F. Grease bottom and sides of 13×9-inch pan with shortening or cooking spray. 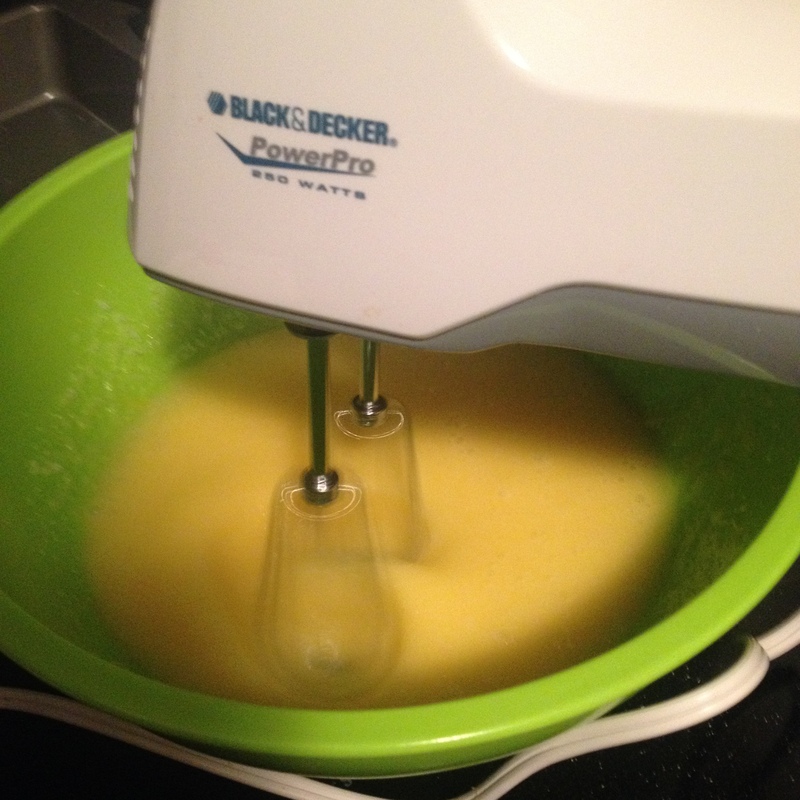 In large bowl, beat granulated sugar, applesauce, vegetable oil and eggs with electric mixer on low speed about 30 seconds or until blended. Add flour, cinnamon, baking soda, baking powder, 1 teaspoon vanilla and the salt. Beat on low speed 1 minute. Stir in carrots and nuts. Pour into prepared pan. Bake cake for 40-45 minutes or until toothpick inserted in center comes out clean. Cool completely, about 1 hour. For frosting, beat cream cheese, butter, milk and 1 teaspoon vanilla in a medium bowl with electric mixer on low speed until smooth. 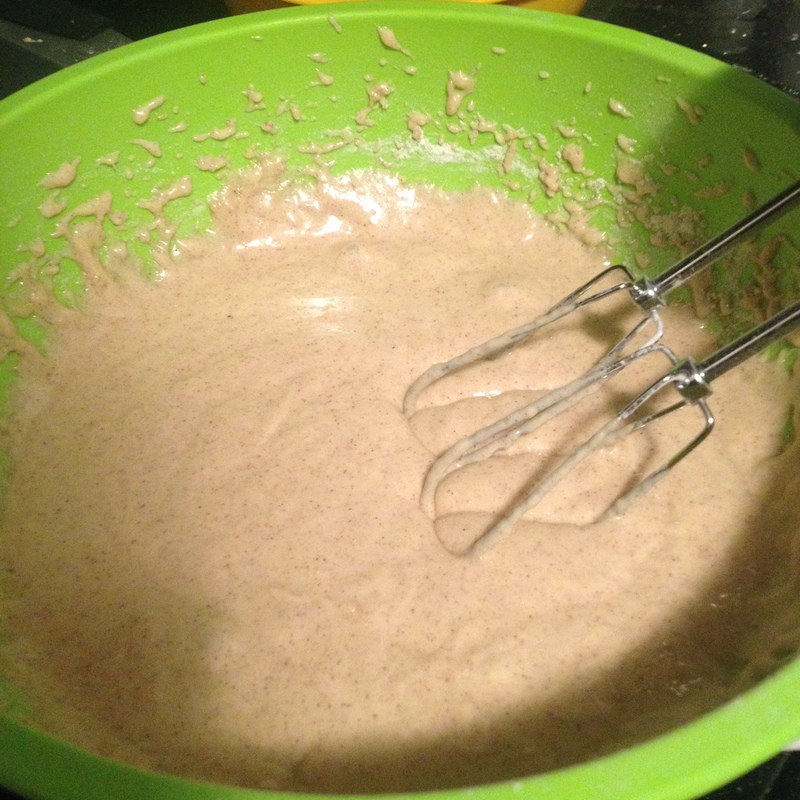 Gradually beat in powdered sugar, 1 cup at a time, on low speed until smooth and spreadable. Frost cake. Top with mini Easter eggs or other festive treats. Store covered in refrigerator.